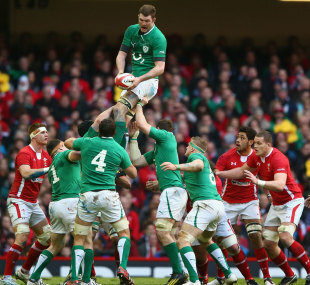 Munster and Ireland supporters are unlikely to see Donnacha Ryan in action again until well into the New Year. Ryan last played in March when he picked up an injury to his right foot and after a lengthy spell of rehabilitation, he is still battling back to fitness. Munster have now confirmed he needs surgery on his toe and will miss the next four to six months. The news will come as a huge blow as Ryan is a key cog in their pack. "Donnacha has done everything that has been asked of him and we know it has been a tough time for him with the option of surgery available as a last resort," Munster boss Anthony Foley said. "We are now at that point and we just want him to get through the next stage and back to full fitness." Keith Earls will visit a consultant next week as he battles back from a knee injury while Tyler Bleyendaal has had a successful operation on a disc lesion.